The NovaBug-Blog: His Masters Vanished? As a music lover, it pains me to see that the British institutional brand of HMV are in some serious doggy-doo doo and are in danger of ceasing to exist. I personally hope this doesn't happen, as it will more or less spell the end for the high street music store. As a teenager and my pre-fatherly days, I spent many a wasted hour flicking through, and messing up, the neatly stacked CDs, computer games and vinyls displayed on the shelves of HMV, Virgin Megastore and of course the legendary and sadly missed Tower Records, formerly of Piccadilly Circus. Yes, we all know the huge benefits of online purchasing, and the fact that music is now generally bought via download. An invisible computer file that essentially has no value or presence. I'm a firm believer of having the physical item when it comes to CDs, DVDs and such like. One from the old skool maybe, but playing that CD or plugging in that console cartridge has a glint of smug satisfaction about it. I do also have an extensive collection hidden out of sight in the computer, this is perfect for a backup, but it's just not the same. Having the item, right there in your hand feel's like you have actually bought something, achieved something, an item to show off, display in the home and of course play with ease. I move with the times before you scoff at my apparent oldy-woldy ways, (you are reading this on a blog yes?!) This is not about that, it's about personal enjoyment. To have this experience if HMV do fold, then you have two choices: Use the online giant Amazon, who seemingly dominate the world of internet shopping with a power-fist of tax evasion, or use the supermarket chains. The same ones that are opening 'express' branches all over the place, putting local stores out of business in the process. Don't get me wrong, change happens yes, but this seismic shift away from the traditional high street is getting ridiculous! Soon, most high streets will be a string of fried chicken shops packed to fat schoolkids, hairdressers, dessert and Shisha bars and of course the evil that is a betting shop. How can that be? A music store gives pleasure and reward for your hard-earned cash, but a bookies used by a weak willed person can spell a one way trip to oblivion in a matter of weeks! Yet they continue to spread like a disease, replacing the sponsorship blanks left by alcohol and cigarette advertising. I'm still not convince which is worse, but that's another discussion. This is all not the competitions fault however. HMV have made mistakes, big ones, and it annoys and surprises me that they did. They should have foreseen this shift in buying habits and adapted to survive. Quickly. So what did they do? Sell mobile phones and expensive headphones... oh dear. They had to stick with their core customer, and provide everything that you could receive as a patron which is not available online. Cheaper prices, multiple deals, budget baskets, larger stock holdings and an exchange program. Their online services should have been promoted to the extreme, and all this whilst waving their famous logo high and proud shouting "Come to us!" Alas, this did not happen, and it seems they are in the same position as Clinton Cards were last year. (Another firm guilty of not adapting quickly enough! Look at Card Factory, they do alright!) We can only hope a rich investor can pop up, deciding not to buy yet another football club and lead a re-birth of His Masters Voice. Could it be all over for His Master? So, if we lose Nipper and his gramophone, music lovers now have several meagre options. Switch to download entirely, choosing to either have the iTunes library, forcing a mass purchase of Apple goods to play the damn things. Supermarkets will be the only physical outlet for regular non-online buyers, whilst specialists will hunt down the few independent shops and trawl through the Ebay listings. Of course, the last and most popular option will be Amazon. A place where you don't go to enjoy a browse or discover a new sound, just purchase. That was part of the beauty and charm of music shops. You could go in and spend hours just looking through the selves, hitting a feeling of elation when you find a CD that you had forgotten about, a band that you hadn't heard before or an old favorite that was untraceable online. You could listen to tracks, admire the cover art, and sometimes if the shops staff were experienced, have a proper talk about music and your options of finding such a sought after CD, or received genuine recommendations (not the ones Amazon wish to push!). Music shops had an atmosphere and feel that you just don't get with the coldness of online shopping, despite the many positives. It seems the adverse worlds of high street shopping and online buying cannot work together with certain goods, and music is one of them. I would like to have both options at my disposal, because, sometimes, I would just like to browse and chance upon a gem that I couldn't find online. I don't want to be putting more money in the pockets of supermarkets, they get enough from me for foodstuffs. Of course, I'm not even mentioning the prospect of the 4000 jobs that would be lost with the closure of HMV, nor the many empty shopfronts that would join the closed down bookshops, pubs and corner shops. Unless they have been already converted into a McDonalds or another frigging coffee shop! What ever your musical buying habits, it would be a travesty and a great loss to the high street if that pink neon sign disappears forever. 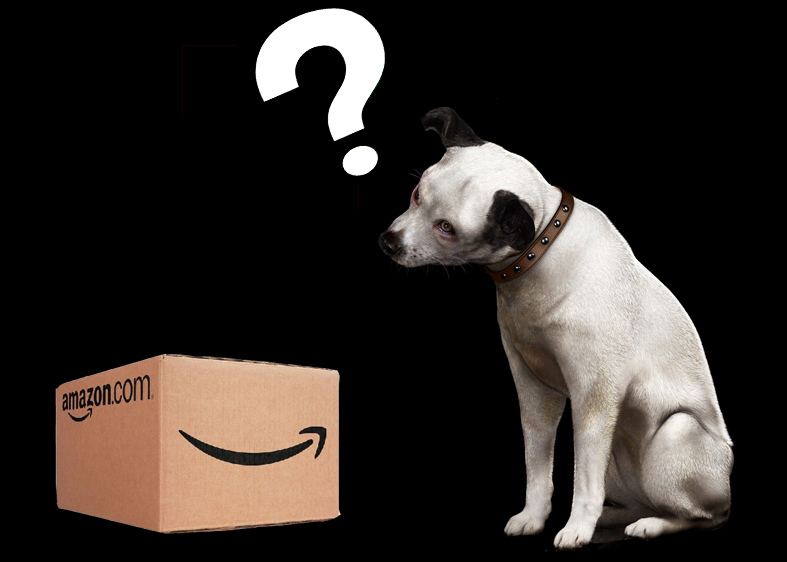 I hope it will be saved, maybe even Amazon would even consider picking up the pieces and let the dog listen again? Let's hope eh? Nice one. I definitely agree that we're in serious danger of having the same shops on every street!